A University of Virginia School of Medicine neuroscientist who is transforming our understanding of the brain's relationship to the immune system has been awarded the prestigious Director's Pioneer Award from the National Institutes of Health. 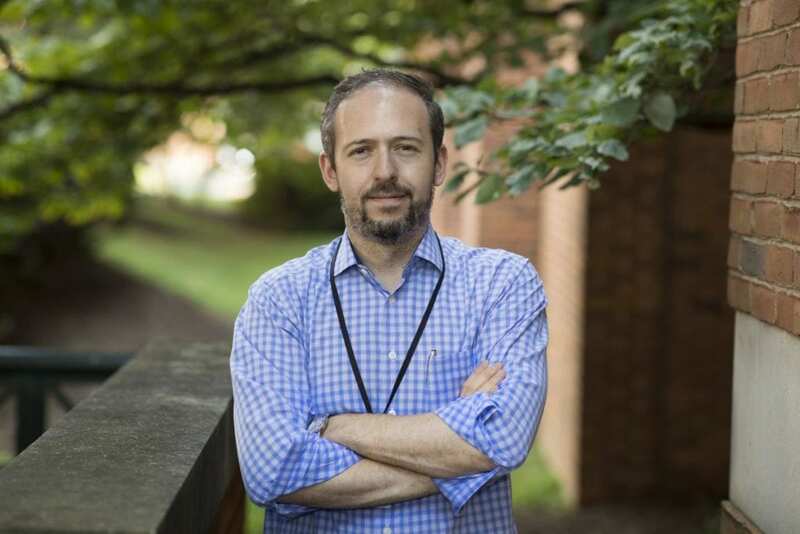 Jonathan Kipnis, PhD, chairman of UVA's Department of Neuroscience and director of its Center for Brain Immunology and Glia (BIG), will receive more than $5.6 million in research funding over five years as part of the award. The prize recognizes scientists with outstanding records of creativity as they pioneer new approaches to the biggest challenges in medical and behavioral research, with the goal of funding work that could have a transformative effect on human health. Kipnis' Pioneer Award is the first received by a School of Medicine researcher based on research done at UVA. Jayakrishna Ambati, MD, of UVA's Department of Ophthalmology, also received the prestigious award prior to joining UVA. "The National Institutes of Health Director's Pioneer Award is a tremendous accolade. It recognizes innovative research with real potential to improve the human condition – exactly the type of work we want to nurture at the UVA Health System," said Richard P. Shannon, MD, UVA's executive vice president for health affairs. David S. Wilkes, MD, dean of UVA's School of Medicine, noted the significance of Kipnis' findings. "This [award] is a wonderful recognition of the exciting work being done by Dr. Jonathan Kipnis," Wilkes said. "He and his department are revolutionizing how we think about the brain, the immune system and the relationship between them. It is truly pioneering research, with dramatic potential to change how we view and treat neurological disease." "UVA has always focused on discovering new knowledge in service of the public good," said UVA President Jim Ryan. "Not all of those discoveries end up rewriting textbooks. Dr. Kipnis' work is exceptional, and has the potential to change the way we think about and treat all kinds of diseases. Lucky for us, he's just getting started." Kipnis said he plans to use the award funding to "try to understand the language of how the immune system talks to the brain, and how the two systems impact each other's function." By understanding that language, he said, doctors may be able to manipulate one to affect the other in the battle against neurological disease. "Every system in our body is controlled by the brain and is nurtured by the immune system, so it is inconceivable that the brain is not controlling the immune system and that the immune system is not supporting brain function," he said. In 2015, Kipnis identified lymphatic vessels connecting the brain to the immune system, vessels long thought not to exist. His recent research has demonstrated the critical role of the vessels in aging and Alzheimer's disease. His latest finding identifies the vessels as a potential avenue for treating multiple sclerosis. Kipnis said his immune system discovery and subsequent research successes were made possible by the support he has received from the leadership of UVA, the UVA Health System and the UVA School of Medicine. He thanked Wilkes, Shannon and former UVA President Teresa A. Sullivan, who was a strong proponent of his work while in office. He also thanked the School of Medicine's research deans, including Stewart Craig, assistant dean for research administration, along with his departmental faculty and administrators. "And first and foremost," he said, "my lab members, without whom none of this would have been possible." Kipnis said that he is lucky to work in a collaborative environment where he feels comfortable reaching out to colleagues and members of the leadership team whenever needed. "That's something that's very special about this place," he said. UVA's School of Medicine, he said, is nurturing an exciting research program across many disciplines. "I'm hoping we're building a culture where we will have many, many more of these NIH Director's Pioneer Awards," he said. Kipnis' award is grant DP1 AT010416. To keep up with the latest medical research news from UVA, subscribe to the Making of Medicine blog at makingofmedicine.virginia.edu.